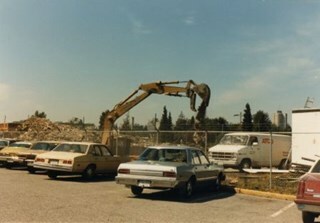 Photograph of the site of Kelly Douglas and Co. at 4700 Kingsway after the building was demolished. A bulldozer and a large truck with two men standing on it are at the back left of the photograph. 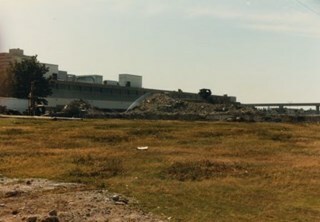 Printed on verso of photograph: "This paper manufactured by Kodak"
Photograph of the site of Kelly Douglas and Co. at 4700 Kingsway after the building was demolished. 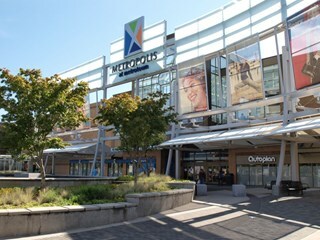 Buildings and the Skytrain Expo line are visible in the background. 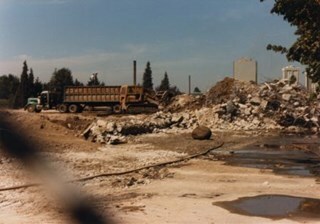 Photograph of the site of Kelly Douglas and Co. at 4700 Kingsway after the building was demolished. An excavator is working on the site. Cars are parked outside a fence, and a van lettered, "ATCO," is inside the fence. Photograph of Alice & George A. 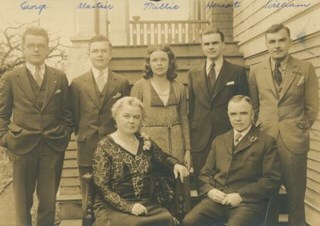 Grant sitting in chairs in front of their children who are standing behind them in a row; George, Alastair, Millie, Heriot, and William. The family is on the front steps of their home at 2772 Sussex Avenue (old street numbering). 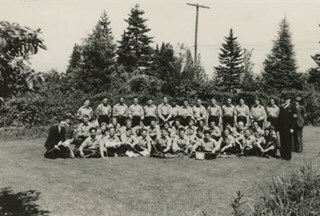 Photograph of the New Haven Borstal Home for Boys and Youthful Offenders on George A. Grant's lawn, watching for King George VI and Queen Elizabeth to travel along Kingsway as part of their visit to British Columbia. 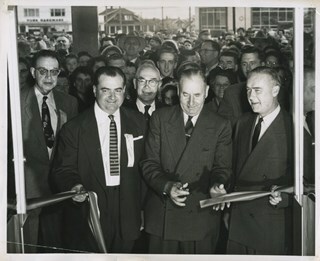 Everyone has flags in their hands, including the four men in suits that are accompanying the reform school students. 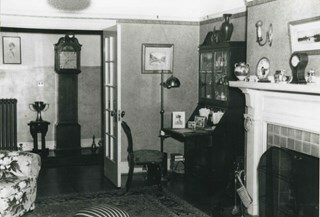 Photograph of the living room of the Grant family home at 2772 Sussex Avenue, including a grandfather clock, desk and fireplace. Alice and George A. Grant moved here with their family in 1925. 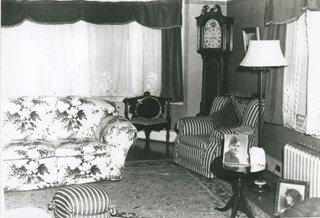 Photograph of the living room of the Grant family home at 2772 Sussex Avenue (old street numbering), including a couch and chairs, grandfather clock, and pictures and photographs. Alice and George A. Grant moved here with their family in 1925. 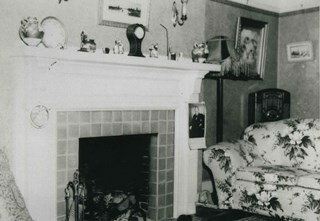 Photograph of the living room of the Grant family home at 2772 Sussex Avenue (old street numbering), including a fireplace, couch, pictures, and radio. Alice and George A. Grant moved here with their family in 1925. 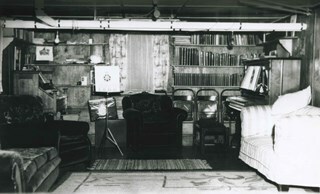 Photograph of the playroom of the Grant family home at 2772 Sussex Avenue (old street numbering), including chairs, books and a piano. Alice and George A. Grant moved here with their family in 1925. Photograph of the playroom of the Grant family home at 2772 Sussex Avenue (old street numbering). 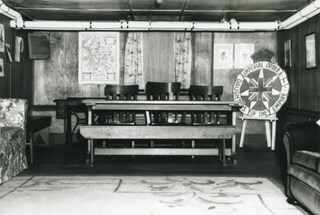 In the room is a sign for the Imperial Order Daughters of the Empire (I.O.D.E.) with which Mrs. Grant was involved. Alice and George A. Grant moved here with their family in 1925. 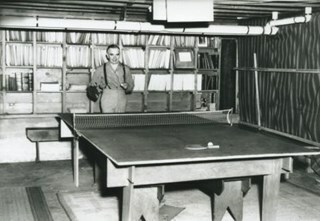 Photograph of the playroom of the Grant family home at 2772 Sussex Avenue. George A. Grant is standing behind a ping pong table, about to serve. Alice and George A. Grant moved here with their family in 1925. Photograph of the exterior of the Grant family home at 2772 Sussex Avenue (old street numbering). Alice and George A. Grant moved here with their family in 1925. 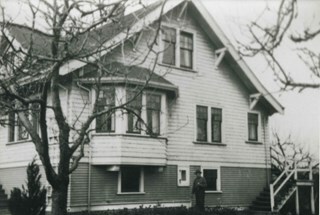 Photograph of the exterior of the Grant family home at 2772 Sussex Avenue (old street numbering system). Alice and George A. 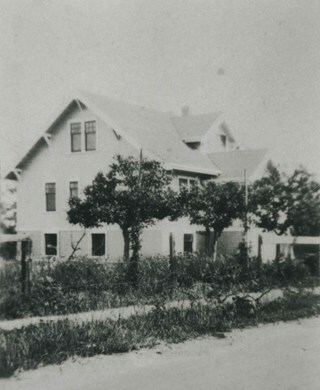 Grant moved here with their family in 1925. A man is standing outside.